Rug Doctor Flexclean gives you the possibility to wash carpets, rugs, bare floors by only one machine. The idea of bringing all home cleaning tools into one is taken by Rug Doctor, and Rug Doctor Flexclean is their first pivotal trial to fill the gap on the market. However, Rug Doctor Flexclean is not very welcomed by consumers like Rug Doctor famous models like Rug Doctor Mighty Pro or Rug Doctor Portable. 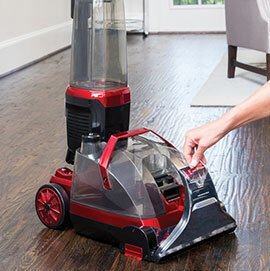 Another newly developed by Bissell called Bissell Crosswave Pet Pro All in One Wet Dry Vacuum Cleaner and Mop for Hard Floors and Area Rugs, 2306A also offer similar benefits but this unit receive super high rating from consumers. 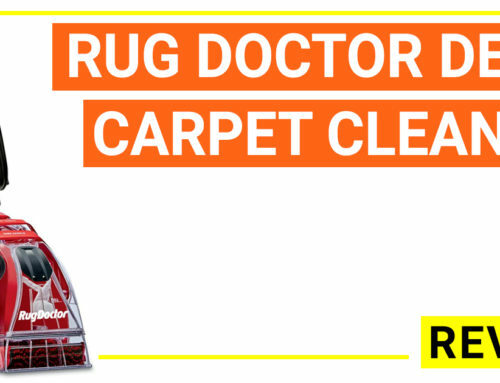 You can check to see whether it can be a better alternative, or read the full reviews of Rug Doctor Flexclean below. 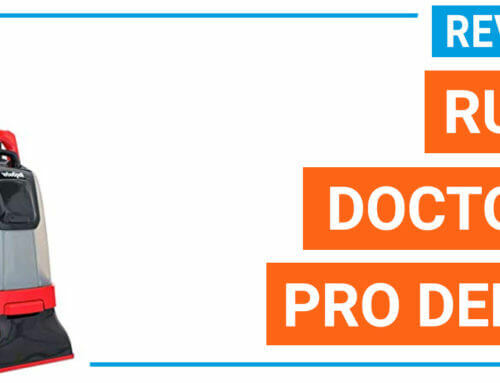 Rug Doctor Flexclean is an all-in-one floor cleaner, which is designed by the famous brand Rug Doctor. The unit is intended to replace all home cleaning machines like carpet cleaner, vacuum cleaner, hard floor cleaner, steam mop…The model can clean a variety of surfaces including carpets, rugs, sealed floors, tiles, laminate, hardwood…without the need of changing machines. The best part of this Flexclean is that it can remove pet stains and urine out of the carpets that other vacuums can’t deliver. 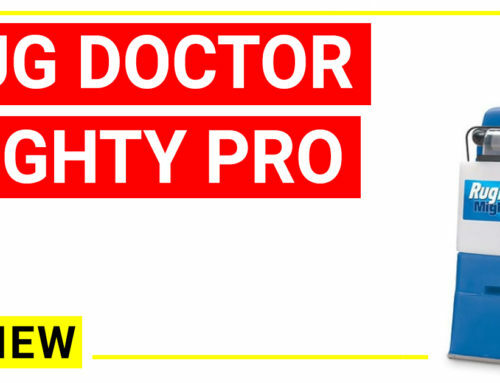 This unit is also more compact and cheaper than Rug Doctor Mighty Pro X3. Let’s discuss whether this Rug Doctor Flexclean floor cleaner is a trend for future home and the pros and cons of this design. The brush system of Rug Doctor Flexclean has a single helical brush roller with 2 edge brushes, making a total cleaning path width 12’’. On the dirty water tank, there is a port for connecting to a hose so users can clean the upholstery, stair with the upholstery tool. Similar to Rug Doctor Pro Deep carpet cleaner, this unit also has 2 big wheels which are carpet friendly. Rug Doctor does not mention the motor power of this unit, they confirmed the unit “does have the same cleaning power as other single function machines of the same level ”, but it is not as much powerful as the commercial unit like Rug Doctor Mighty Pro X3. It can remove pet urine and stains out of carpets, other vacuums can’t do this! Besides, it can’t replace a traditional steam mop because the steam mop is designed for sanitizing the floor with high temperature without the need of chemical detergent. This unit does not have such feature. Rug Doctor Flexclean can be considered as an upright carpet cleaner with additional features like vacuuming, sealed floor cleaning and pet mess cleaning machine. It gives the users the convenience when dealing with daily cleaning messes and would be a nice option for home with many surfaces that require different cleaning machines.